Goulard, Sébastien (2018), “L’Inde et l’OTAN: quel partenariat?” (India and NATO, what partnership? ), Outre-terre, Nouvelle DelhI?, Vol. 54-55, December, pp. 318-329. Goulard, Sébastien (2018), “L’Inde face aux nouvelles routes de la Soie” (India and the new Silk roads), Outre-terre, Nouvelle DelhI?, Vol. 54-55, December,, pp. 289-305. Goulard, Sébastien (2017), “L’Europe nouvelle destination des migrants du Bangladesh” (Europe, a new destination for migrants from Bangladesh), Outre-Terre, Vol.52, no.3, pp. 197-208, accessed at https://www.cairn.info/revue-outre-terre-2017-3-p-197.htm. Goulard, Sébastien (2017), “Les routes de la Soie, un projet pour le monde” (The new Silk roads, a project for the world), Outre-Terre, Vol.50, no.1, pp. 349-368. accessed at http://www.cairn.info/revue-outre-terre-2017-1-page-349.htm. Goulard Sebastien (2016), “Brexit: La Chine entre opportunités et incertitudes” (Brexit: China between opportunities and uncertainties), Outre-Terre, Vol.49, no.4, pp. 399-415, accessed at http://www.cairn.info/revue-outre-terre-2016-4-page-399.htm. 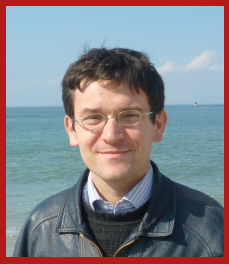 Goulard, Sebastien (2016), “Casinos in Asia: Legalizing Gambling in the Chinese Province of Hainan, the Ideological Obstacle”, The Journal of Gambling Business and Economics, Vol.10, no.1, pp.1-13, accessed at http://ubplj.org/index.php/jgbe/article/view/826. Goulard, Sebastien (2016), “Les réactions sociales face aux défis environnementaux en Chine” (Social reactions to environmental challenges in China), Géoconfluences, February 14, accessed at http://geoconfluences.ens-lyon.fr/informations-scientifiques/dossiers-regionaux/la-chine/articles-scientifiques/defis-environnementaux. Goulard, Sebastien (2011), “The Challenges of Tourism Diversification, the Role of Local Governments: the Case of the Chinese Province of Hainan”, International Journal of Culture and Tourism Research, 4(1), December, 61-72. Ai, Chi-Han, M. Elosua and S. Goulard (2015), ‘Snail without a shell: migrant workers’ difficult path toward urban housing’, in François Gipouloux (ed. ), China’s urban century governance, environment and socio-economic imperatives, Cheltenham: Edward Elgar (read more). Book review (in French) of “O’Donnell, Mary Ann et al. (ed.) (2017), Learning from Shenzhen: China’s Post-Mao Experiment from Special Zone to Model City”, Chicago: Chicago University Press in Carnets du Centre Chine, 19 April 2017, accessed at http://cecmc.hypotheses.org/34425. Book review (in French) of “Rithmire, Meg (2015). Land Bargains and Chinese Capitalism: The Politics of Property Rights under Reform. New York: Cambridge University Press” in Le Monde Diplomatique, February 2016, p.24. Available here. Goulard, Sebastien (2013), ‘La province de Hainan, les politiques environnementales comme facteur d’intégration et leur contrôle par le Centre’ (The province of Hainan, environmental policies as a factor in integration and their control by Central authorities), in Philippe Josserand and Françoise Le Jeune (eds. ), La Marge, Paris: L’Harmattan, pp. 147-58. Goulard Sebastien (2012), ’Mediterranean islands and the challenge of innovation: learning from the case of the Chinese province of Hainan’, ICHSS 2012, Tirana, Books of Proceedings, Vol. 5, pp.129-34. Available here. Elosua, M., Gipouloux, F., Goulard, S., Li, S. & Ni, P. (2013), ‘Urbanisation in China: The impact of the tax-sharing system and the definitions of new strategies’, UrbaChina working paper, no.1, November, Paris: CNRS. Available here. Goulard, Sébastien (2018), “La Chine, déjà vainqueur de la guerre commerciale sino-américaine” (China has already won the US-China trade war)”, Asie Pacifique News, July 9, accessed at https://asiepacifique.fr/guerre-commerciale-chine-etatsunis-usa-sebastien-goulard/. Goulard, Sébastien (2018), “Chine – France : le président Macron un interlocuteur privilégié sur les nouvelles routes de la Soie” (China-France: President Macron a privileged interlocutor on the new Silk Roads), Asie Pacifique News, February 28, accessed at https://asiepacifique.fr/chine-france-le-president-macron-nouvelles-routes-de-la-soie-obor/. Goulard, Sebastien (2018), “France and China’s Green Silk Roads”, The Diplomat, January 13, accessed at https://thediplomat.com/2018/01/france-and-chinas-green-silk-roads/. Goulard, Sébasten (2017), “Les nouvelles stratégies commerciales de la Chine” (China’s new trade strategies), ISEMAR Briefing note no.195, December, accessed at https://www.isemar.fr/wp-content/uploads/2017/12/note-de-synthèse-195-Les-nouvelles-stratégies-commerciales-de-la-Chine.pdf. Goulard, Sébastien (2017), “France, Italy, and China’s ‘Belt and Road’ Initiative”, The Diplomat, March 6, accessed at http://thediplomat.com/2017/03/france-italy-and-chinas-belt-and-road-initiative/. Goulard, Sébastien (2016), “Hainan, espace touristique et stratégique” (Hainan, a strategic and tourist region), in Sébastien Colin (ed. ), “La Chine puissance maritime”, Mappe, March, Paris, éditions Ateliers Henry Dougier. 2018, ‘Promoting multilateralism to address possible cultural challenges along the New Silk Road’, September 27, Geocultural Forum 2018, Saint Petersburg, Russia. 2018, ‘Belt and Road Initiative: impacts on geopolitics and developments around the world’, June 5, Session BELT & ROAD INITIATIVE – OBOR , Wallonia Export Days, AWEX (Wallonia Foreign Trade and Investment Agenc), Louvain-la-Neuve, Belgium. 2018, ‘Financing “Belt and Road” Infrastructure’, May 30, Capacity Building for Infrastructure Development in Emerging Economies, Dialogue of Civilizations Research Institute, Berlin. 2018, ‘Free Zones and BRI may be mutually beneficial’, April 29, World Free Zones Organization, 4th Annual International Conference and Exhibition, One Belt One Road Workshop, Dubai. 2018, ‘La crise en Libye et l’immigration bangladaise en Europe (The Libyan crisis and Bangladeshi immigration to Europe)’, April 10, Académie Européenne de Géopolitique (European Academy of Geopolitics), Paris. 2018, ‘La gouvernance environnementale, attentisme ou leadership (Environmental governance: wait and see or leadership)’, Colloque la Chine et la Gouvernance Mondiale (China and world governance Workshop), March 16, Lyon University III, Jean Moulin, Lyon. 2018, ‘Emerging Economies and Integration along the Belt and Road Initiative’, February 7, MEDports forum 2018, Marseille. 2017, ‘Le développement de l’industrie des jeux en Asie: un enjeu touristique (Gambling industry development in Asia: a touristic challenge)’, December 18, Prof. Xavier Paulès’ workshop on ‘Fantan in China’, EHESS, Paris. 2017, ‘Belt and Road” Cooperation in City Construction Area’, November 28, China Construction 4.0 International Innovation Forum, Changsha. 2017, ‘Europe, France and the Belt and Road Initiative’, September 25, 9th FCPAE Europe Forum, Issy-les-Moulineaux, Paris. 2016, ‘Le Brexit et ses conséquences sur les relations Chine-Royaume-Uni-Europe’ (Brexit consequences on China-UK-EU relations), November 22, Académie Européenne de Géopolitique (European Academy of Geopolitics), Paris. 2015, ‘Les travailleurs migrants et les obstacles à leur intégration dans les villes chinoises’ (Migrant workers and obstacles to Chinese cities’ intergration), ‘China’ workshop, December 18, Lycée Camille Julian, Salon Albert Mollat, Bordeaux, France. 2015, ‘Social housing and migrant workers in China’, Urbanisation in China, Panel discussion and book launch, Thai Theatre, London School of Economics, December 7, London. 2012, ‘The French in Hainan: a tropical outpost in the sphere of influence, out of colonial interest’, French Colonial History Society, 40th Conference, May 30-June 2, 2012, New Orleans, LA, USA. 2012, ‘La province de Hainan, les politiques environnementales comme facteur d’intégration et leur contrôle par le Centre’, Journée Guépin 2012 ‘La marge’ (The Margin), May 21-22, 2012, Maison des Sciences de l’Homme, Nantes, France. 2012, ‘Mediterranean islands and the challenge of innovation: learning from the case of the Chinese province of Hainan’, 2nd International Conference on Human and Social Sciences ICHSS 2012, March 23-24, Sapienza University, MCSER, Tirana, Albania. 2011, ‘The development of Tourism in Hainan: a New Decentralization Round’, International Conference on Decentralization and its Discontents: Recalibrating Public Service Delivery in Asia, 17-18 November, The Hong Kong Institute of Education, Hong Kong.